Hi guys! Renting out my spare room in a new townhouse in Fawkner! 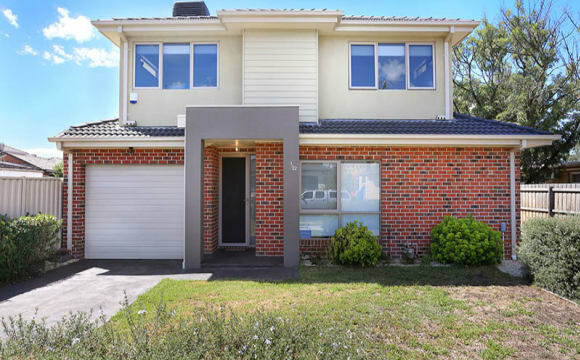 500m from Gowrie station, close to Krispy Kreme and KFC (dangerous I know), close to Campbellfield Plaza and also the new Aldi on Sydney road! You will have your own room and we will share the bathroom. Your room can be furnished or unfinished. The bills (water, gas, electricity and internet) will be split. My cat will be living with us and she’s an adorable fluff ball who I have taught to sit! 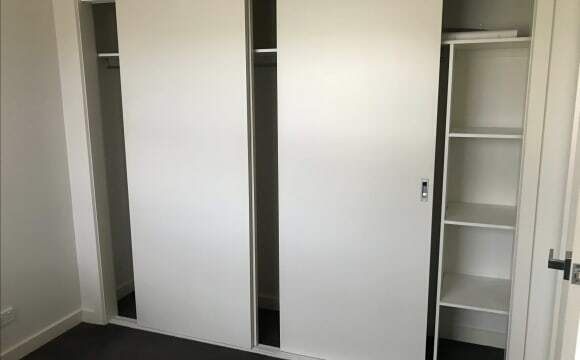 * Private room available for rent in a new townhouse * Room has bed, desk, built in wardrobes and plenty of natural light * Located 2 min walk from Fawkner Train station. 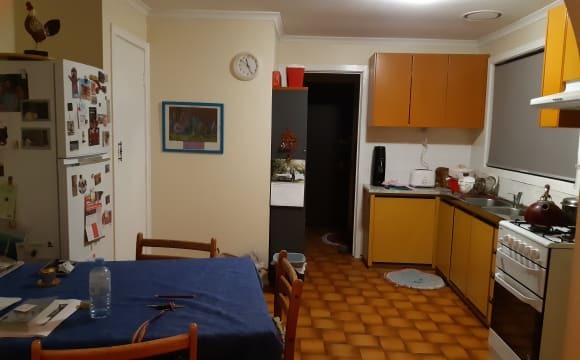 It only takes 25 mins to reach the city via train, 5 minutes to Coburg and 10 minutes to Brunswick * Townhouse is fully furnished - has well equiped kitchen, fast NBN internet, washing machine, balcony, offstreet parking * Townhouse has 2 bedrooms (1 occupied by me), 1 bathroom and 2 toilets. You will have exclusive access to your own toilet * You will be sharing the townhouse with 1 other person only (me) so you will have your own peace and quiet. *** Rent is $200 per week (which includes all bills) -- so that's all you will need to pay. Please feel free to send me a message for more details and to arrange an inspection. Fully furnished house with unlimited internet. 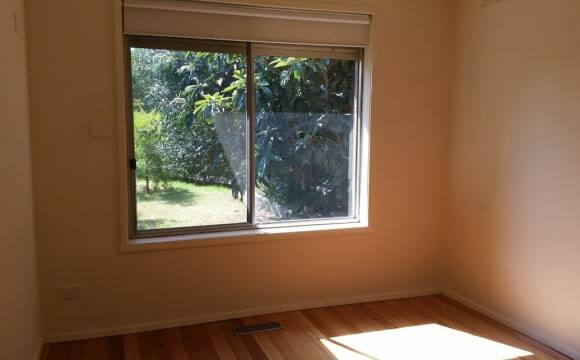 3rd bedroom has an adjoining lounge room. Off street parking is available. Decent sized backyard for garden lovers. Numerous cafes and restaurants with Woolworths and Coles nearby. The 527 bus stop is right outside and the upfield line station is a 15min walk. Room for rent in 3 bedroom house The House is clean and brand new. Quite near Gowrie train station (5 min). It has everything nearby (bakeries, restaurants, cafes, grocery stores and supermarkets). Downstairs is a large open spaced kitchen, laundry, powder room. 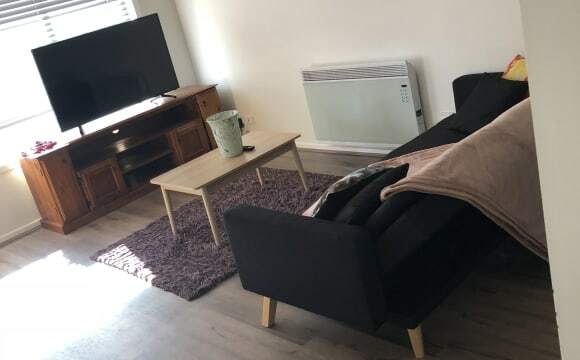 Upstairs is three bedrooms, 1 room available is large enough to fit a double or queen bed and currently furnished with a double bed, from $190 2 room available medium size from $180 Rooms with built in wardrobes! Share bathroom is a split system. On street parking is available outside the house. The tenant will be required to pay upfront 2 Weeks deposit to secure the room which is refundable upon the notice period. Room is available now. Bills are not included. Please pm if you have more questions and are interested. 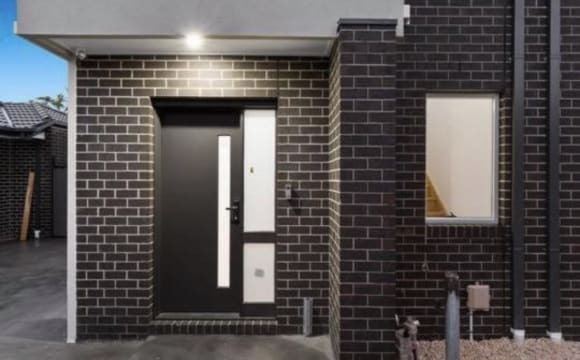 Master Bedroom on offer in Hadfield located in close proximity to west st shops and is only 5 min by car to Gowrie Station or Glenroy station in each direction. The bedroom comes with large built in robes, a freshly renovated en suite and a TV aerial to watch all commercial channels. On street parking is available outside the house. The house is super conformable and boasts plenty of space amongst all communal areas and a comfortable size backyard that is great for weekend gatherings and BBQs during the summer months. The house is only 10 years old. We also have foxtel, and the tenant wont be required to pay for their share PCM. Looking to fill the room 1st July or soon after. The tenant will be required to pay upfront 2 Weeks deposit to secure the room which is refundable upon the notice period. 18kms from the City. It's a little further out but it's wonderful once you're here... Rancho Relaxo offers one lucky lady one bedroom (with built in robes) and the best view in the house; It's a blank canvas now but I can furnish if you prefer. Large front yard; large backyard with fruit trees and a veggie patch, no new pets as there is a long-term cat here, ducted heating 'n' cooling; zombie apocalypse roller shutters, an alarm system plus an undercover carport, all in a little pocket of lovely right at the end of Somerset Road. We are a five-minute drive from Upfield Station and buses 531 and 538 stop across the road. Behind us is Galada Tamboore Reserve that has waterfalls, kangaroos, bike/walking path and a great view of the city skyline. Plenty of room to bend, stretch, run, create, play, dance or just sit and ponder. This home is a sanctuary of cleanliness, order, calm and positivity and I want someone who is going to embrace and add to that. If you think Rancho Relaxo could be the place for you, please drop me a line and come visit. Only a stones throw away from major/general shops, nice family orientated area in a quiet neighbourhood. On the street parking, i have a beautiful dog so you'll have to be a dog lover. Currently building a beer garden for the weekends, so there is a hangout area if you are a smoker. Do potentially require you to go on a lease as an addition. Only a stones throw away from major/general shops, nice family orientated area in a quiet neighborhood. On the street parking, i have a beautiful dog so you'll have to be a dog lover. Theres a beer garden for the weekends, so there is a hangout area if you are a smoker or just enjoy soaking up some vitamin C. Netflix is available. 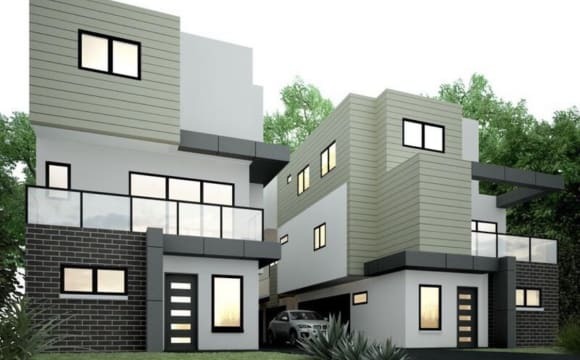 It's a brand new double story town house, I only moved into the property middle of Jan 2019. Unlimited internet with wifi, netflix and foxtel is also available. A lounge room down stairs with a rumpus room upstairs. We have a Woolsworth and a number of takeaway shops approximately 800m away . This trendy unit, freshly painted with courtyard. 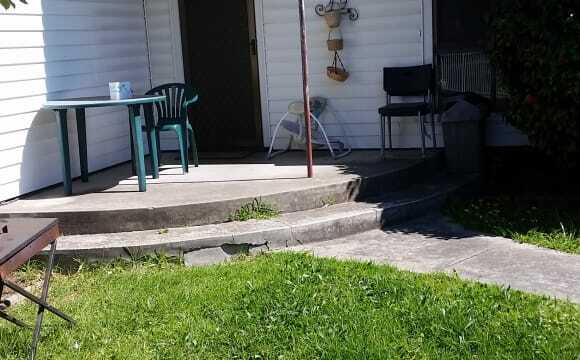 Close to public transport, short walk to shops, close to freeway. This property is very nice and cozy and has all the things you want in a home and is very close to shops, train station, busses, and very close to laundry mart and I drive aswell so I can help occasionally. This property is spacious with huge front yard. Rooms are bigger and alot of space around the house. Hadfield shops including safeway and BWS is 1 min walk away. 2 minutes walk to bus stop and glenroy medical clinic. Area is very quiet and nice. House is well furnished.With a second living area. Wifi, Netflix, central heating, quiet and roomy, modern appliances to kitchen and Laundry. Close to M80 makes it a good house to work from. Good house to work from. Safe clean stable and comfortable. Furnished with modern appliances. Two living areas, backyard. Only 3 mins walk from Merlynston station. Fridge &amp; Washing machine available in property. Netflix and Optus Sports also available in our living room and there is a small deck area at the back of the property if you want to chill. There is also a small veggie patch, so if you're into gardening you can grow some herbs and veggies. I've also got a spare double mattress that you can buy/borrow if you want. Friendly flatmate willing to share cooking, shoppong and meals. Spacious fully furnished room 2mins walk to bus, 5mins drive to Glenroy station, 8km = 15mins drive to Tullamarine airport. $700/single/month - bond $500 $1100/couple/month - Bond $800 Min stay 3 months All bills inclusive and unlimited internet We live simple, quiet, no party, looking for a clean, tidy, quiet and considerate housemate who is also willing to corporate and adapt to sharing invironment, respect privacy. I am looking for someone to share this 2 unit bedroom with (preferably a female bcz i have a rescued german shepherd, and he gets along with females for some reason). The area is pretty quite, 5 min walk from a bus stop, or a 15 min walk to Glenroy station. The unit is fully furnished and kept clean, every room has its own air conditioner, the kitchen with a dishwasher and the bathroom with bath/toilet/shower. The bedroom comes with built in robes (can fit a queen bed as seen in the pics). Also max is a 6yo rescue German shepherd, an outdoor dog bcz he sheds a lot! Otherwise i’ll be cleaning all day everyday. Local shops are 5 mins walk away. Long-term stay is welcome. Quite, peaceful, clean Home. 20min walk to Train. Room and house are fully furnished, with a room lock. Extra $5+ p/w for heating..